Greeting Card. Vintage Photo Card. 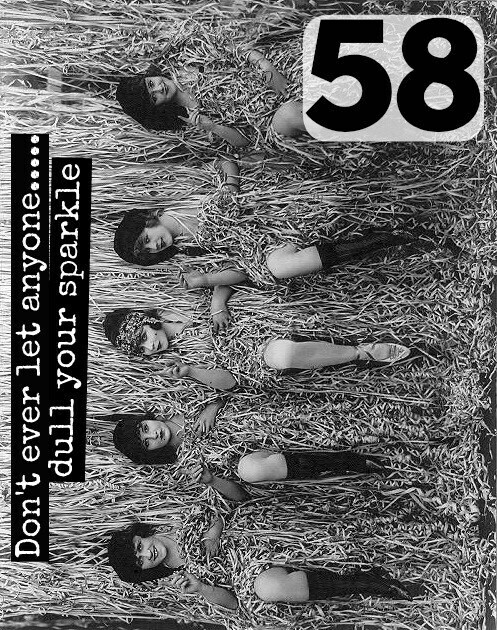 20s Twenties Flappers. 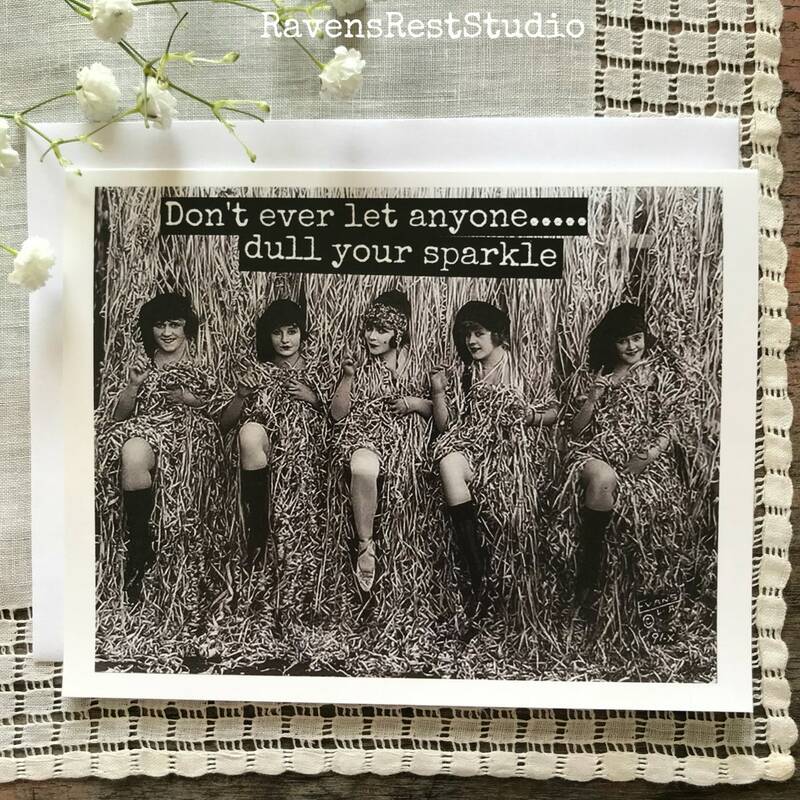 Don't Ever Let Anyone...Dull Your Sparkle. Card #58. 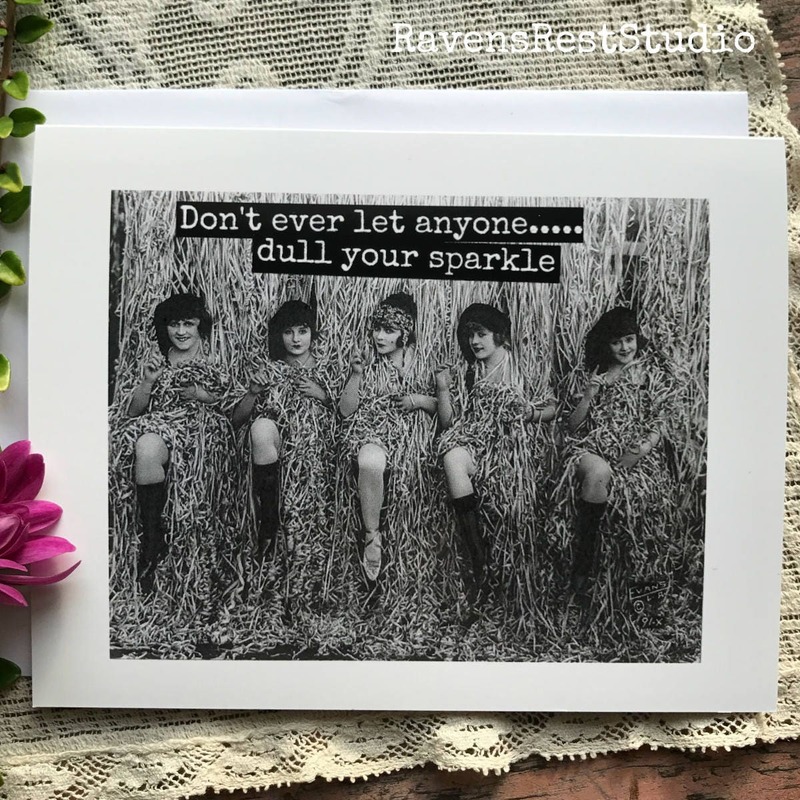 This card features a group of flapper women and reads: "Don't ever let anyone...dull your sparkle."